In April 2009, President Obama speaking in the historic Hradcany Square in Prague, announced a vision and commitment to achieve ‘the peace and security of a nuclear-weapon-free world.’ Nearly seven years later and we appear no closer to achieving that goal. There remain over 15,000 nuclear weapons in the active stockpiles of the nuclear-armed States – most of which are undergoing costly refurbishment and modernization programs to continue their arsenals indefinitely. Frustrated at this lack of progress, non-nuclear countries moved the United Nations in October last year to establish an Open Ended Working Group on Multi-lateral Nuclear Disarmament Negotiations (OEWG) with a mandate to undertake substantive work on the legal measures and norms required to achieve a nuclear-weapon-free world. 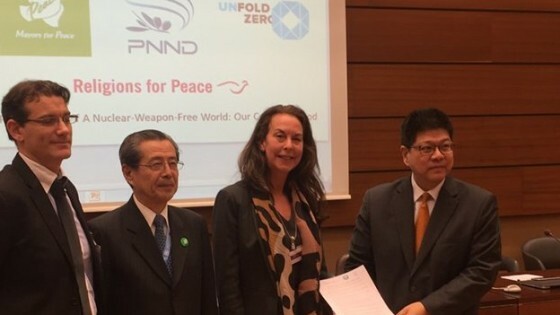 It is hoped that this could pave the way for negotiations and adoption of nuclear disarmament agreements, much as a similar working group established on weapons exports lead to the successful conclusion of the Arms Trade Treaty. 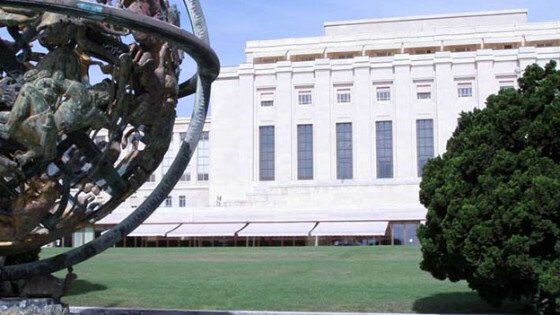 The OEWG held its first week of deliberations from February 22-26. Although the nuclear armed States did not participate, a large number of countries relying on nuclear weapons did take part. This included many NATO countries as well as Japan, South Korea and Australia. There have been no multilateral nuclear disarmament negotiations since the Comprehensive Nuclear test Ban treaty was adopted in 1996. So progress on any of the above would be an improvement. However, the deliberations also highlighted a fundamental difference in perceptions on security that could continue to prevent agreement on the commencement of multi-lateral negotiations: Non-nuclear States, in general, perceive nuclear weapons to pose a security risk for all, and that nuclear disarmament would eliminate that security risk. Nuclear armed States and those under extended nuclear deterrence doctrines perceive nuclear weapons to provide a security benefit in terms of deterring the use of nuclear weapons by others and in deterring aggression, and that nuclear disarmament could increase insecurity. These two key stakeholders have tended to ‘talk past each other’ rather than engage in constructive dialogue to forge solutions. This has been especially evident in the humanitarian consequences debate where non-nuclear States have highlighted the catastrophic humanitarian impact of any use of nuclear weapons as a rationale for comprehensive abolition – where-as the nuclear armed and umbrella states perceive this as the reason that nuclear deterrence works. Without a resolution to this security gap, those states under extended nuclear deterrence relationships will not join a comprehensive prohibition agreement, such as a nuclear weapons convention or a ban treaty. A ban treaty without any of them, and without any of the nuclear weapon states, will not apply to them and will therefore have very limited normative value. In order to bridge this gap in security perceptions – and to open up the possibilities for nuclear disarmament negotiations, those states relying on nuclear deterrence will need to develop confidence that their security can be better met by other means. 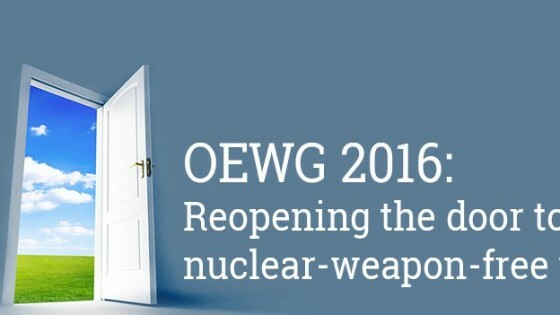 UNFOLD ZERO participated in the OEWG deliberations, and put forward a proposal to help non-nuclear States and nuclear umbrella states to stop talking past each other, and work together to resolve this problem. UNFOLD ZERO, in an intervention on the role of nuclear weapons in security doctrines, highlighted the fact that security roles ascribed to nuclear weapons could be fulfilled by cooperative security means, such as those outlined in the UN Charter (negotiation, mediation, arbitration, adjudication, recourse to regional mechanisms…). UNFOLD ZERO reported on initiatives by academics and think-tanks to explore and identify cooperative security approaches to replace the reliance on nuclear deterrence, such as the study undertaken by the Geneva Centre for Security Policy – Security in a World without Nuclear Weapons: Visions and Challenges. UNFOLD ZERO encouraged the OEWG delegates to follow-up on an informal proposal, made at the 2013 OEWG by one nuclear allied state and one non-nuclear-state, for States to identify the specific roles ascribed to nuclear weapons, and to explore (and implement) alternative, cooperative security approaches to fulfill these roles. UNFOLD ZERO also noted that non-nuclear States could assist nuclear allied States and nuclear-armed States in finding and building confidence in such cooperative security approaches. In particular, those states that previously relied on nuclear deterrence or had fledgling nuclear weapons programs, but have made the transition to non-nuclear security, could assist other States in making such a transition. There is already considerable research on countries that have undergone such a transition process – some of it brought together in the Nuclear Exits conference held in Helsinki in October 2013, co-sponsored by the Physicians for Social Responsibility Finland and the International Peace Bureau. However, insufficient work has been done on applying this knowledge to the security situations for those countries currently subscribing to nuclear deterrence in order to enable them to also abandon this doctrine and join comprehensive nuclear disarmament negotiations.